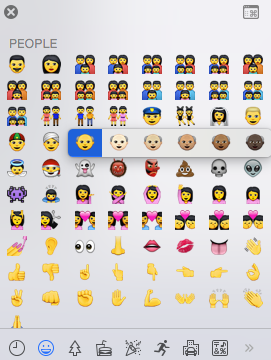 One year ago Apple made a promise to diversify the emoji collections on their devices.Well, they kept their promise in the new beta versions of OS X 10.10.3 and iOS 8.3.
iOS 8.3 beta version didn’t come out just to show off the emoji updates – Siri‘s Russian counterpart is now also available. The update will be available to the mass public this spring. However, the ‘chosen few’ can get it by downloading it from developer accounts.